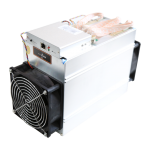 WhatsMiner is an ASIC Bitcoin miner giving you the opportunity to do your part in securing the Blockchain, in addition to generating profits from mining cryptocurrencies. 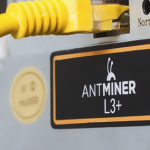 The miner is simple to set up thanks to a plug and play design. As it supports the SHA-256 algorithm, it allows you to start mining both Bitcoin and Bitcoin Cash right away. An application-specific integrated circuit, or ASIC, is a type of computer chip optimized to carry out a specific type of tasks. ASICs are often used to help advance scientific research, as they can be designed to perform a large number of complex calculations quickly. 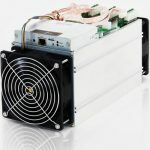 ASICs manufactured specifically for Bitcoin mining were first released in 2013, as the amount of computing power needed to mine the cryptocurrency has increased significantly by then. A Bitcoin mining ASIC is far more efficient than a CPU or GPU for the amount of power it consumes. The SHA-256 encryption algorithm is used by Bitcoin, Bitcoin Cash, as well as several other cryptocurrencies. This means that you can use your WhatsMiner to mine not only Bitcoin, but also many other coins that use the same algorithm. 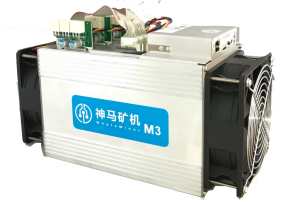 The WhatsMiner M3 has been designed to give you a quick ROI. 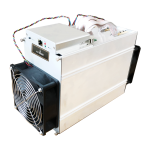 Its power supply is built with energy efficiency in mind, allowing you to pay less per Th/s compared to competing products. As the M3 miner model has a smaller footprint than previous models, you get more stackable space per rack. With its 28NM chips, the M3 is able to function around the clock without problems. Its heat sinks have been given a redesign, allowing them to dissipate more heat for a cooler operation. The miner’s control panel is simple to use, allowing users who are new to mining to get started right away. The control platform is also open source, which lets power users customize how they control the device.